design assistance to guide you every step of the way. from rustic to elegant; traditional to contemporary. can help you find the PERFECT fit!Create COMFORT in your home. Optimize FUNCTION and work space. 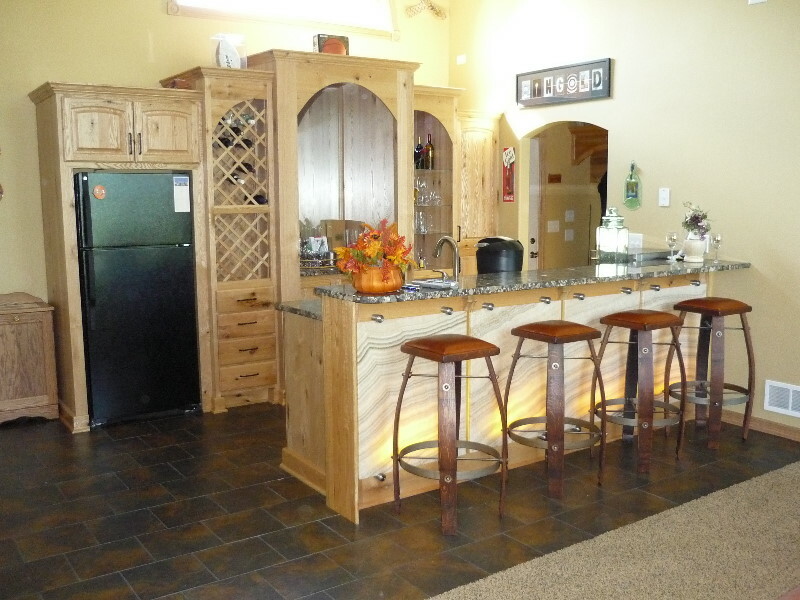 cabinetry that’s made to last a lifetime! From Design to Installation…Done Right. During the planning of my kitchen space, I was told “you can’t have a curved corner door, a bank of drawers and a pull out access to the corner cupboard.” I was told I had to give up one of the three features. However, when I consulted with Byron he said, “Sure, I can do that!” Well, it is beautiful and so functional, and it was possible! 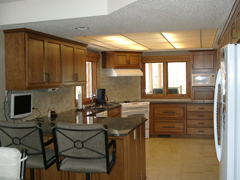 Diamond Design Kitchen & Bath will accurately evaluate your existing kitchen plan. Their communication with me during the project was excellent. They arrive on time and craft beautiful cabinets. I want to thank you for the great job done on my kitchen, buffet and bathrooms! I am extremely happy with the outcome! The suggestions you gave to improve my kitchen and utilize the space were just super. I appreciate how you listened to what I wanted and you were so patient with me, in the decision-making process! Your attention to detail, the quality of your work, and the timeliness in which the projects were completed speak very well of you. 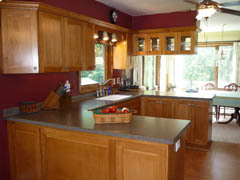 I will gladly recommend Diamond Design to anyone, building or remodeling a kitchen or bathroom! You are a true professional! Prior to discovering Diamond Design we had contact with several other contractors, including those located in the “Big Box” stores. Their prices were much higher than the quality of their products. At one “Big Box” store we even had to PAY for them to draw a plan. We ran into Mr. Byron Little at the Duluth Home Show. He impressed us immediately with his honesty and knowledge of kitchen design along with his easy going personality. Our total experience with Diamond Design was excellent. 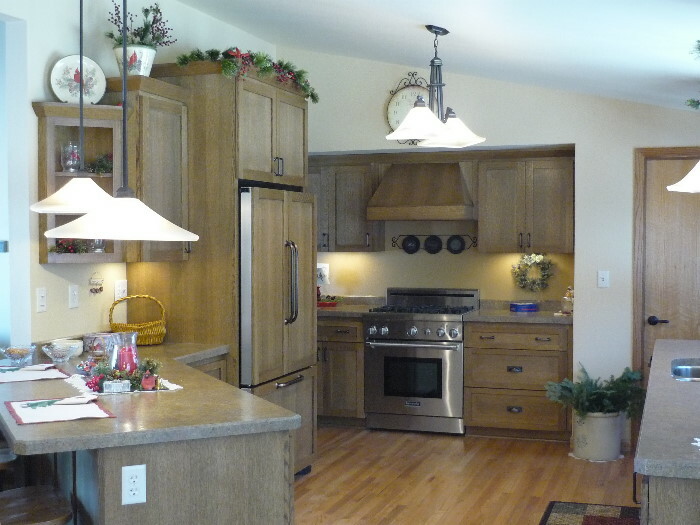 Byron guided us with his expertise in planning and designing our custom kitchen. 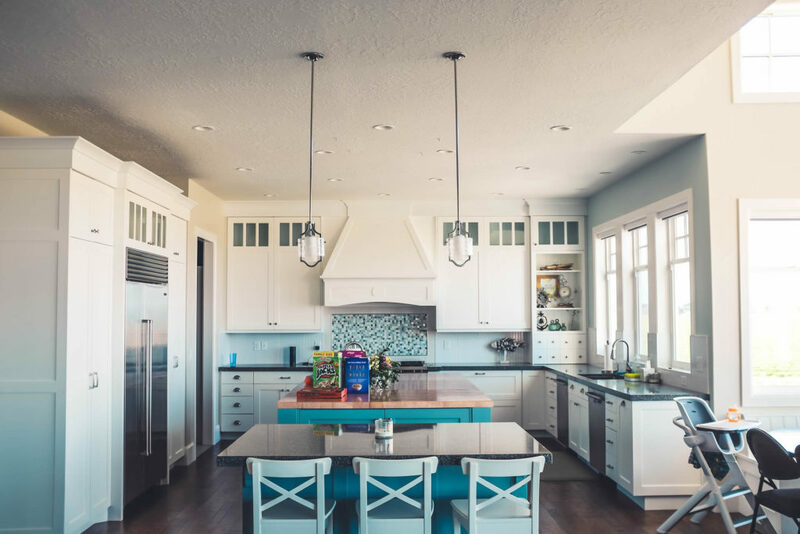 The workmanship and the installation of the cabinets were precise. The hardware utilized for glide of drawers and soft-closing doors is first rate, at no additional charge. All drawer corners are dove-tailed. 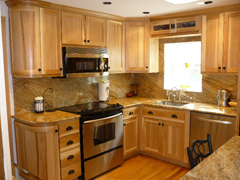 Diamond Design was always striving for excellence in our custom cabinets. They kept regular communication lines open and stayed within their timelines and price. Hiring Byron and Diamond Design was the best move we have ever made with regards to construction . They have 100+% of our recommendation!